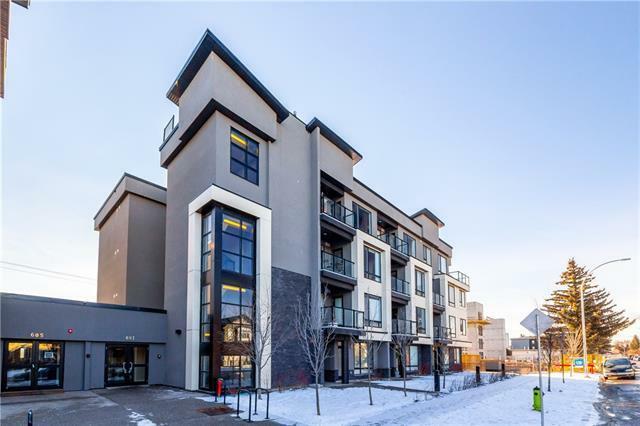 This magnificent SOUTH facing TOP floor END condo unit will surly impress. This is the ONLY 1 bedroom unit on the top floor. 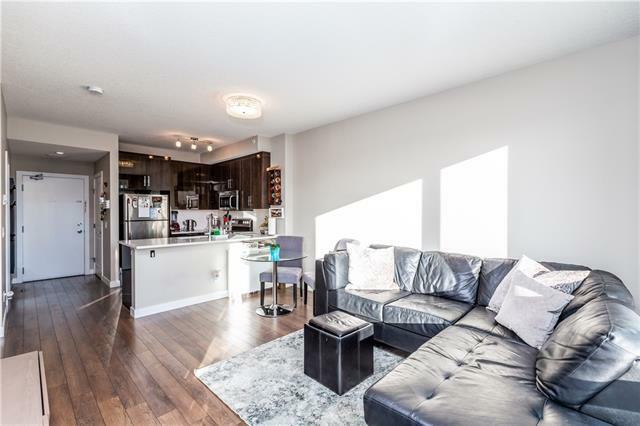 Featuring 1.5 bathrooms, large south facing windows, modern kitchen with high gloss cabinetry and upgraded appliances, quartz counter tops and breakfast bar, beautiful laminate floors, in suite laundry, 9 ceilings and A/C. 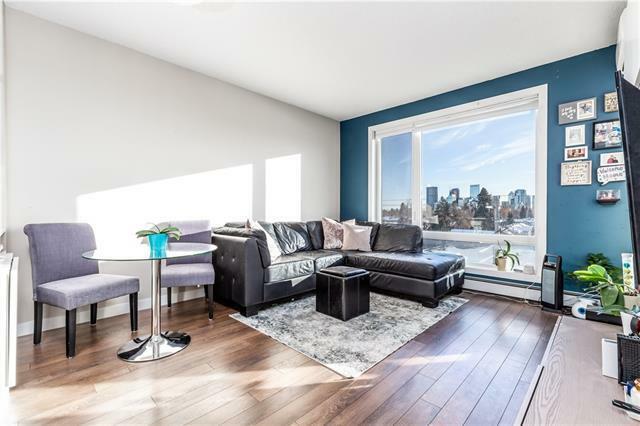 Enjoy the fireworks or breathtaking views of down town from your ample sized deck or from the comfort of your living room or bedroom. Enjoy the secured, heated underground parking stall which happens to be wider than most AND an end stall (less door dings). Reap the benefits of a large common back yard with concrete patio ready for all kinds of entertaining. 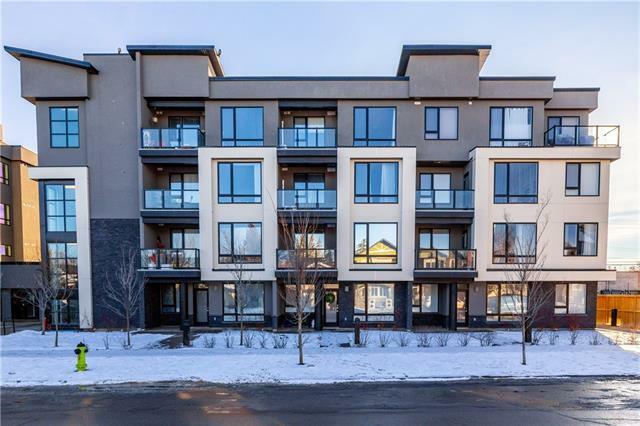 With easy access to shopping, restaurants, coffee shops, SAIT, transit, downtown and major roadways. Walking distance to confederation park and Riley Park. This fabulous opportunity is a must see.